The article contains a revision of the contribution of MRS(I) to the in vivo evaluation of cancer‐metabolism‐derived metrics, mostly since 2016. Strategies include the following: (1) quantification of single oncometabolite content such as 2HG; (2) selected metabolite ratios such as total Cho to NAA in gliomas, ratios related to Cho, Cr, citrate and polyamines in prostate cancer or Lac/Pyr in hyperpolarized 13C MRSI; and (3) the whole 1H MRSI(I) pattern, through pattern recognition analysis, allowing detection of response to therapy in preclinical brain tumours before detectable volume changes. 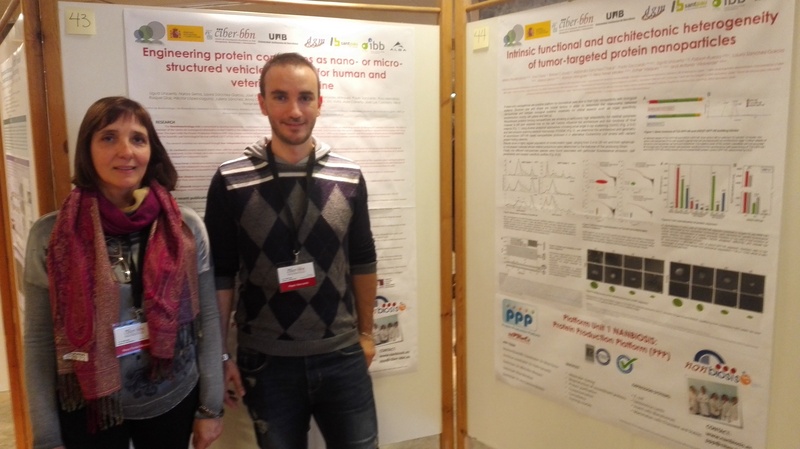 Ana Paula Candiota and Carles Arús, Scientific Cordinator and Scientific Director of U25 of NANBIOSIS, NMR: Biomedical Applications I have participated in the research published by ACS Applied Materials & Interfaces Journal that include a preclinical study carried for brain Tumor. 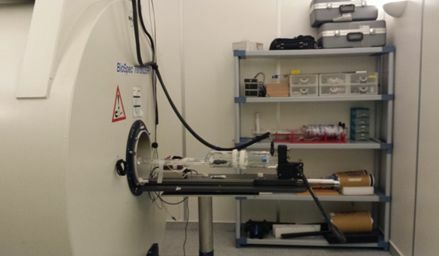 Extensive attention has been paid on designing and developing functional imaging contrast agents for providing accurate noninvasive evaluation of pathology in vivo. However, alse-positives or ambiguous imaging and the lack of a robust strategy for simultaneous dual-mode imaging remain to be fully addressed. One effective strategy for improving it is to design magnetic resonance imaging (MRI) contrast agents (CAs) with intrinsic T1/ T2 dual-mode imaging features. In this joint work from ICN2 and CIBER-BBN members, the development and characterization of nanostructured coordination polymers (NCPs) which exhibit dual mode T1/ T2 MRI contrast behavior is described. Ana Paula Candiota, Scientific Coordinator of NANBIOSIS U25. NMR: Biomedical Applications I. is givin a talk about “Nosological images of response to therapy based on metabolomic information by magnetic resonance: a step beyond the standard image” next June 6, on Barcelona. According to Dr. Candiota, “The reliable characterization of the treatment response in glioblastoma (GB) is a key factor in improving the survival and prognosis of patients. Image (MRI) and spectroscopic image (MRSI) by magnetic resonance respectively provide morphological and metabolotic profiles of GB, but in general they are not as robust to produce surrogate biomarkers in response to short-term therapy. One of our objectives is to try to provide clinicians with a reliable way to follow the response to therapy in a more adjusted temporal window for changes or adaptations of the therapy, and in a more early way than the one currently performed using MRI. This part of the course will emphasize the potentiality of the systems of patterrn recognition / machine learning to produce ‘nosological images’ to recognize in a robust way the response to temozolamide (TMZ) therapy in preclinical GB (glioblastoma GL261 murine model in the immunocompetent strain C57 / BL / 6), based on the information of the magnetic resonance spectroscopic images. Despite being developed on a preclinical model of pathology, these techniques have a clear translational potential and could in the future improve the management of the different aspects of the treatment of patients”. The talk will take place in the Conference: Nanotechnology applied to medicine as a learning resource for healthcare professionals, organized by Union Consorci Formació in Barcelona (Parc Sanitari Pere Virgili, Edifici Montseny planta -1). The objective of the event is to summarize the most significant advances that have been made in this field, both at the level of development of nanomaterials, as well as in the most relevant applications of the different nano-pharmaceuticals that are on the market, to end up highlighting the future challenges to which faces nanomedicine to increase the efficiency and specificity of nanomedication. Programa e inscripciones: Inscription is free but the number of places is limited. 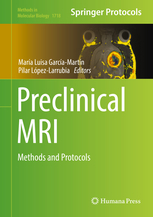 Silvia Lope-Piedrafita and Nuria Arias Ramos, Scientists of NANBIOSIS U25 NMR: Biomedical Applications I, have participated as co-authors in chapters of the book “Preclinical MRI – Methods and Protocols“. Editors: María Luisa García Martín y Pilar López Larrubia. 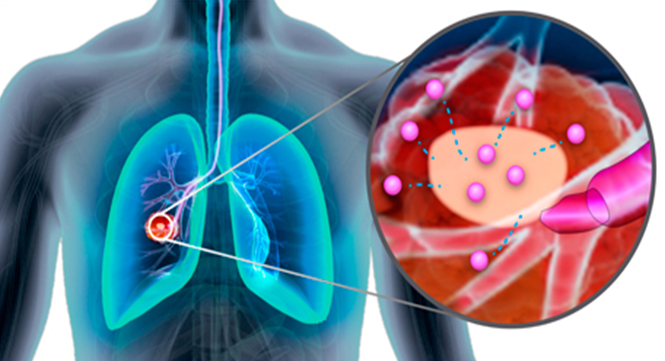 -Part 7 looks at anesthesia and advanced contrast agents. Written in the highly successful Methods in Molecular Biology series format, chapters include introductions to their respective topics, lists of the necessary materials and reagents, step-by-step, readily reproducible laboratory protocols, and tips on troubleshooting and avoiding known pitfalls. 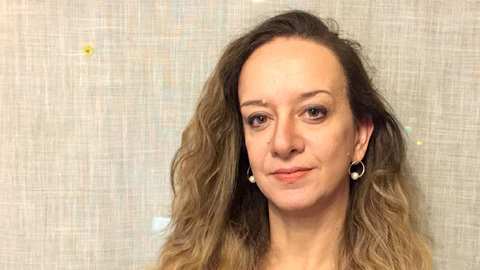 Ana Paula Candiota member of the Panel of experts from the Autonomous University of Barcelona. Ana Paula Candiota, Scientific Coordinator of NANBIOSIS U25. NMR: Biomedical Applications I, is now part of the Panel of experts from the Autonomous University of Barcelona. This panel aims to offer their knowledge and experience to the media in case they have questions on specific issues. 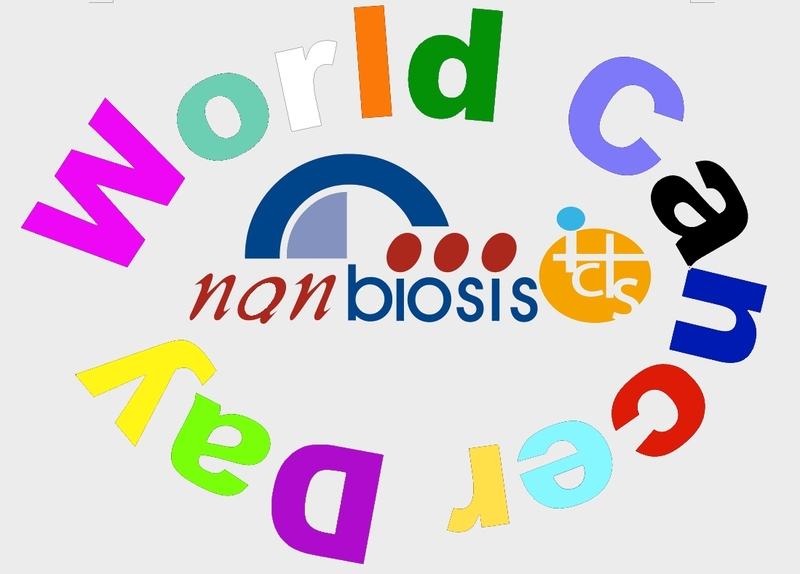 Unit 25 of NANBIOSIS and the research field of Protein Kinase CK2. Ana Paula Candiota and Carles Arús, Scientific Coordinator and Scientific Director of Unit 25 of NANBIOSIS, jointly with other GABRMN members, have recently published an interesting article in the journal Pharmaceuticals, (Special Issue An Updated View on an Emerging Target: Selected Papers from the 8th International Conference on Protein Kinase CK2). This article is also co-authored by scientifics of a research group with renowned prestige in CK2 research field, the Protein Phosphorylation group, del Dipartimento di scienze biomediche (Università degli Studi di Padova). This publication describes a study with the preclinical glioblastoma (GB) model and its treatment, centered in exploring the potential of other therapeutic (non-mutagenic) alternatives for preclinical GB. The results obtained suggest that Protein Kinase CK2 could be a suitable candidate target for GB treatment, which could be useful in combined treatments with temozolomide (TMZ), the standard of care currently used in clinics. Tumor-bearing animals under treatment were followed up with techniques of MRI, MRSI and DWI, and an interesting finding was the appearance of peritumoral brain edema in treated animals. Ferrer-Font, L.; Villamañan, L.; Arias-Ramos, N.; Vilardell, J.; Plana, M.; Ruzzene, M.; Pinna, L.A.; Itarte, E.; Arús, C.; Candiota, A.P. Targeting Protein Kinase CK2: Evaluating CX-4945 Potential for GL261 Glioblastoma Therapy in Immunocompetent Mice. Pharmaceuticals 2017, 10, 24. Nuria Arias Ramos from GABRMN-UAB, research group coordinator of Unit 25 of NANBIOSIS, presented on January 30th, an oral communication at the youngSMIN | young Spanish Molecular Imaging Network Meeting. 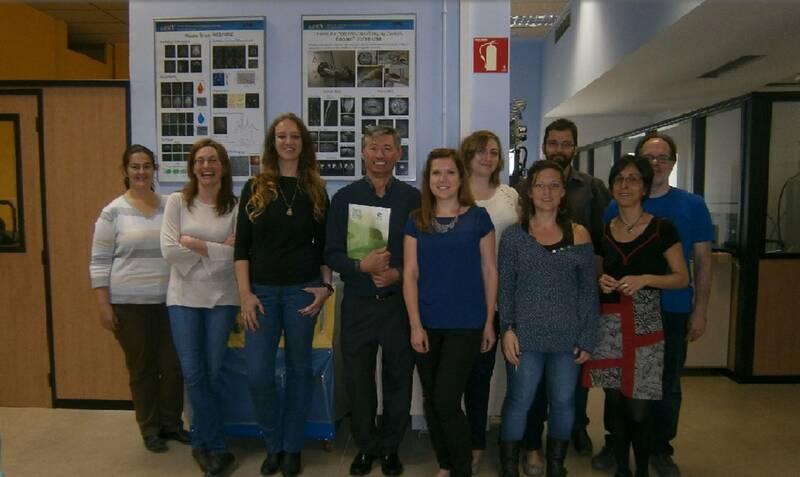 The title of the communication is “Multi slice MRSI-based generation of nosological images for noninvasive therapy response assessment in preclinical GBM”, written by Nuria Arias-Ramos, SilviaLope-Piedrafita, Victor Mocioiu, Margarida Julià-Sapé, Carles Arús and Ana Paula Candiota. The work is basically centered in extending the preliminary GABRMN study based on MRSI acquired in a preclinical glioblastoma (GB), both under treatment and control, with pattern recognition and source extraction for noninvasive therapy response assessment. The preliminary study was performed in a single tumoral slice, but the GB is a well-known heterogeneous tumor and also presents heterogenous response to treatment, so the multislice acquisition was an important step in order to characterize therapy response assessment as a whole, not centered in a single slice. Tumors were stratified in no response, partial response and high response after calculating the percentage of the ‘responding’ part of the tumor, and histopathological studies for correlation are in progress. 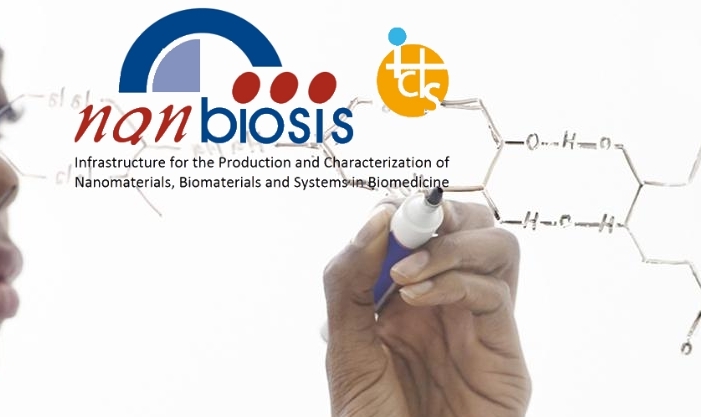 The MRSI acquisition and processing steps were performed in NANBIOSIS facility U25.